18-hour battery life with regular AAA batteries and have flashing low battery alert Capability that alerts you when batteries are running low. Only weighs .25 pounds or 4 ounces, suitable on your trail run, hike or relaxing picnic. When you’re taking the kids out into the wilderness or just out for a day hike in your favorite canyon, you want to make sure they can always contact you. Likewise, if you and your crew are crushing a trail on your bikes or scaling up a rock face, an open communication channel is important. 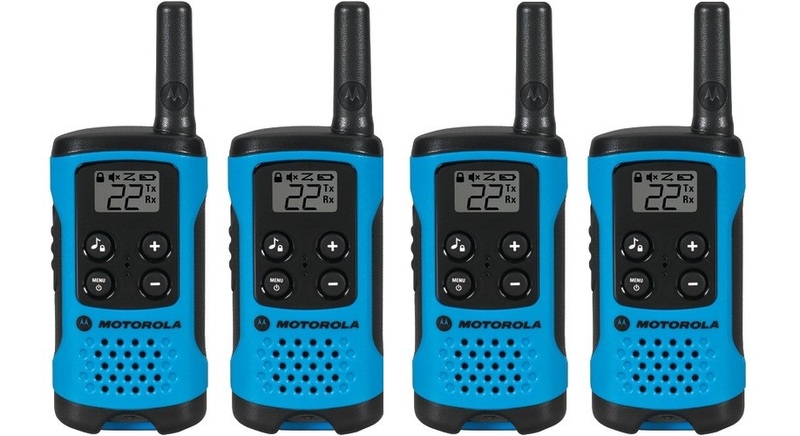 The Motorola Talkabout T1004 pack is a simple, compact radio with just enough features to stay in contact anywhere you go.